Fox News Host Trish Regan: The US Should Send Assassins To North Korea And Kill "This Crazy Fat Kid" - Joe.My.God. 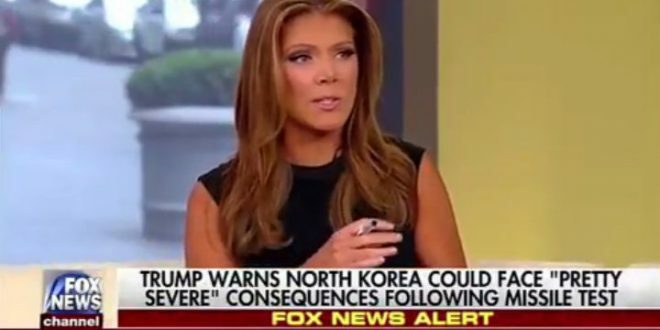 Appearing on Fox News’ Outnumbered this afternoon, [host Trish] Regan noted that she hopes that America doesn’t have to get itself involved in military action against North Korea in response to the country’s aggression. Instead, she suggested that perhaps we should just send in some assassins to take out North Korean leader Kim Jong-Un. Last night Fox host Jesse Watters suggested the same thing. Because taking out a murderous dictator worked out so well in Iraq, right?